got info from John Pokorny. Thank you. http://www.youtube.com/user/CliffShads "The Rise and Fall of Flingel Bunt" (the one from Australian Bandstand, 1967). Of cours I will present all guitars produced after 2002. Both from Burns USA and Burns London. 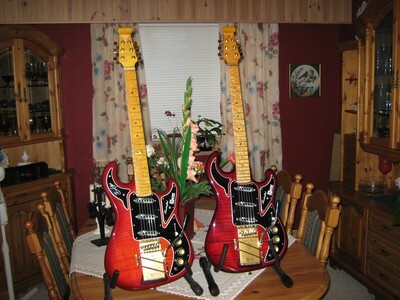 both guitars and basses from the 90:s company. The new burns company has survived much longer than the Burns London company back in the 60:s. I will try to get comments on each guitar from Barry Gibson. and collectors send pictures to me. 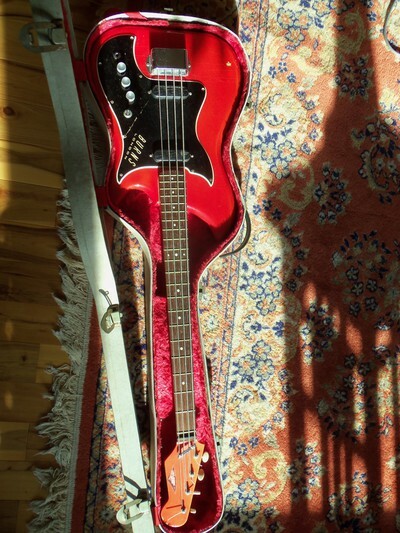 Today I got a picture of a Nu-Sonic Bass from Steve Rockwood. (Thank you Steve!) In my book I just had a picture of George Harrison (the Beatles) playing one Nu-Sonic Bass,but no colour photo. The Beatles used a Nu-Sonic Bass on on song but the Beatles fans have different opinions on which song it is. Do you have any suggestions. Today Burns London have started producing this bass again. 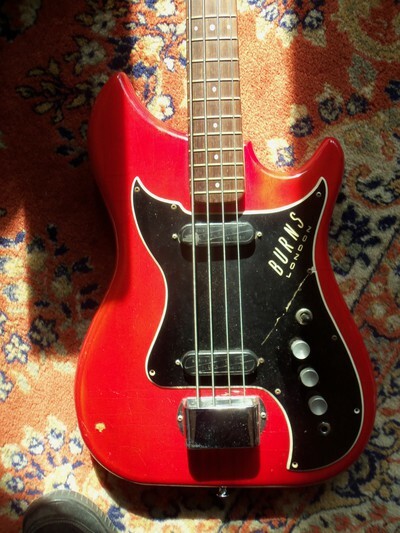 I really appreciate if you could send me phots of any rare Burns guitar.